Seaford Beach House Self-cateringJust a fifteen minute walk from the centre of Southwold, Seaford Beach House is set on the cliffs at Easton Bavants and offers amazing sea views from inside and out. This part of the beach to the north of the pier is rarely busy, and is just a minute's walk from the front door. If you feel the need to move from the views and beach, there is plenty to do in and around Southwold from walking and cycling, to crabbing and sailing. 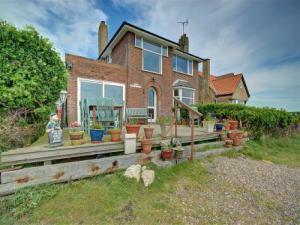 Seaford Beach House is situated on the Eastern Bavent in Southwold and has fabulous views. Seaford Beach House has glorious views. Being closely located to the seafront, it is perfect for families wanting to take in the seaside air. Ideal for walkers, cyclists and bird watchers who wish to experience serenity.